The restaurant funding landscape is a fast-moving game of private equity firms hunting for the next fast casual hit, tech startups endlessly chasing venture capital, and thundering waves of Softbank cash. In an attempt to keep track of all the dollars that are flying around the restaurant startup space, we’ll be highlighting everyone who has raised rounds of funding on a monthly basis, from the tech vendors to the operators they are trying desperately to reach. November kicked off with Softbank pouring hundreds of thousands of dollars in pizza-slash-robotics company Zume and didn’t slow down from there: Sweetgreen reached unicorn status, food delivery consolidator Checkmate took outside funding for the first time, and Tock closed out the month by announcing its largest round of funding to date. Lead Investors: Valor Equity Partners (Eatsa, Rōti Modern Mediterranean, Wow Bao) and Origin Ventures (Fountain, Tovala, Grubhub). Restauranteur Thomas Keller and Lettuce Entertain You also reinvested in this round. Skift Table Take: Tock’s latest round brings the company’s total funding to $19 million. This particular round has been earmarked for growth via beefing up its staff, launching in new markets, and further building out all of its offerings: reservations, yes, but also a wider range of event experiences. Skift Table Take: During several industry conferences that we attended last fall, operators name-dropped CheckMate repeatedly when asked what tech is most useful to them on a day-to-day level. The startup aims to consolidate orders coming in from multiple food delivery services and generally make fulfilling delivery orders less of a headache for operators. This round of funding marks the first time that CheckMate has taken in outside investment. Skift Table Take: Shyft raised this Series A round on a pretty simple product: retail and hospitality workers on the same team can message each other on the app, swap shifts, and pick up extra shifts as they are available. Shyft is going to have to use the funding to further differentiate its product as it grows, however. There are other scheduling apps in the market with much larger user bases that already offer similar capabilities. Skift Table Take: An automated pizza delivery service that hasn’t expanded outside of the San Francisco market now has over $400 million in funding to date, and is fueled by a group of men throwing billions of dollars around Silicon Valley. Can we just fast forward to the part where the founders sell their backend technology to a giant restaurant chain or national delivery service and run off with their millions? Skift Table Take: Welcome to Sweetgreen, the nation’s first salad unicorn thanks to its latest round of funding from return investor Fidelity. 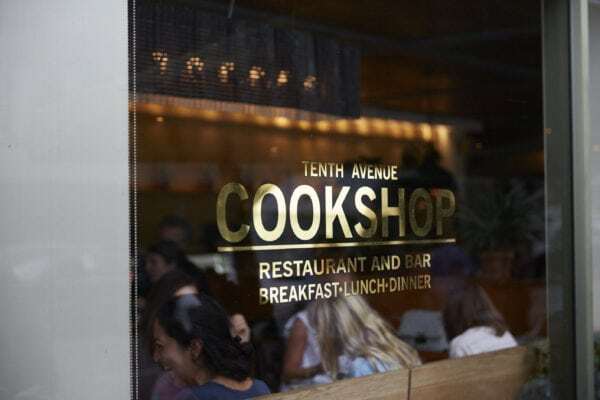 The chain will put the money towards growing its restaurant footprint and further investing in tech innovations, from delivery solutions to supply blockchain integration. Skift Table Take: Breakwater goes after emerging chains still in early development phase, and The Madera Group’s collection of restaurant concepts completely fit the bill. Tocaya Organica, a fast casual Mexican-ish chain with 10 locations across Southern California, got put on a fast track to expansion with this influx of cash, while the group’s two other concepts (Toca Madera and Casa Madera) will explore growth in a select number of domestic and international markets. Skift Table Take: Spread Bagelry, a seven-year-old bagel chain based in Philadelphia, is ready to go national (sort of). The chain plans to use the money to open 8 to 12 new locations, hire a management team, and open up an online store. That cash must be useful to have, especially arriving on the heels of a recent settlement with the U.S. Labor Department over thousands of dollars in unpaid employee overtime wages.